We are learning a web based software test management tool which is called Test Link. This is most widely used as it is an open source tool. Requirement specification and Test specification both combine here. We can create test project and software test case document for the same. Test link tool is managed by admin. 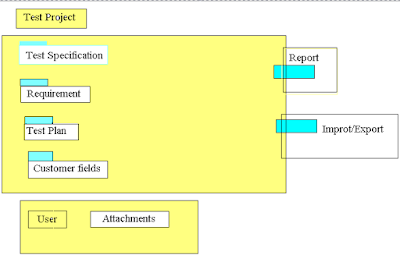 Admin can create different rolls according to work and assign them different task for manage whole project. We can execute test cases manually as well as automated script. In additional we can also generate test report and test plan which saves our time in estimation procedure. 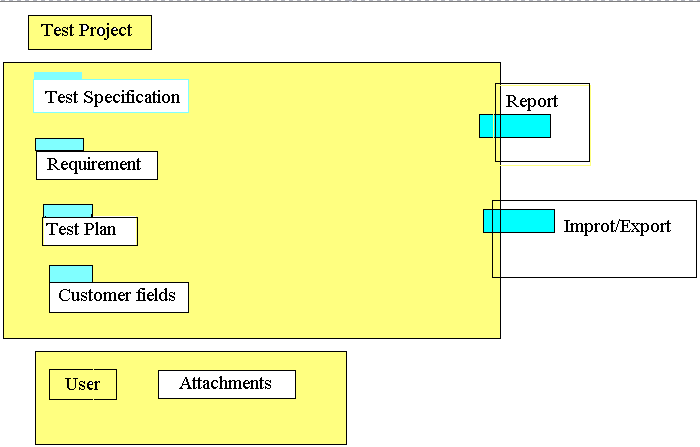 Reports can be generated in many formats like MS word, HTML and Excel. We can integrate test link with many other tools like JIRA, Bugzilla etc. A bug can be linked with these tools by bug tickets number. Test link can manage multiple projects at a time and allow multiple logs in at one time. This all are the benefits of test link software test management tool. now we will learn about test link structure. Test Project, Test Plan and User these are three pillar of test link. All data and attributes are depending on it. Now we will learn some definition like Test Project, Test Plan, Test suit, Test case and User. Test Project: This the important thing which will stays forever in test link. Software projects have many types of different versions through whole development face plus it includes test plan, test case, test reports etc. Test Plan: It is created when you want to execute test cases. Test plan includes software test builds, milestones, user assignments and result. Test suit: We can call a unit of test case is test suit. It is include in test specification and different type of software test cases can be divide in different parts here. Test Case: Test cases explains task of the testing via created steps and expected results. We can execute test case on base of its passing scenarios and failed scenarios. It is a fundamental piece of test link. User: Test link provides different user rolls according to the assigned work. Admin can create a user as well as assign a task. This is all about test link structure. As per the structure we need to create software test project first then we need to assign it to particular user. Afterwards user only creates test cases and then test plan and test build will be created. Then a user can execute test cases and creates Test report. Now we will move on test link work flow. Admin creates a test project as “Project1”. Afterwards he creates two different rolls like “Senior Tester” and “Leader”. A Leader and Senior tester gathers software requirements for the project and generated empty test cases of it first. From test link specification we can generate test case for assigned project. Now they need to create one test suit for the project. Let say they have created two test suits as “TestSute1”, “TestSuit2”. 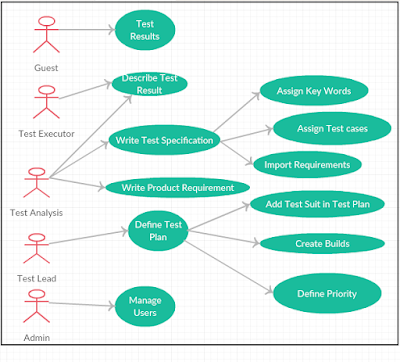 Now tester can creates steps for test cases from test link specification which is organized to test suits. Then Leader assigns “Regression Testing” Keyword to senior tester. Leader creates test plan for this ‘Project1’ then he creates build as “TestBuild_0.1” and link all test case of test suit ‘TestSuit1’ to this plan. Then he assigns himself and senior tester to this project. Now developer give the first build of the project so senior tester executed test cases for that build and found result as 6 passed , 2 failed and 3 blocker issue. Afterwards developers make new build as "TeatBuild_0.2" in which they provide all the solved issues. Thus, senior tester again execute all the test case of blocker issue and failed issues and Mark this all test case with "Regression Testing" tag. Now all the failed and bloker issue should be passed successfully. Now a manager of this team would like to see the results so admin explain him about whole the scenario that he creates the account himself and created two rolls for the project. Then manager does the same and he has rights as "Guest" so he can verify all the result of build1 and build2. Now if developer developed another module for a project which needs to be combine with first test suite then Leader cheneg the Test plan and link the test cases with "TeatSuit1". Thus all testing cycles will take place in test link. Now Admin creates another project as 'Project2' and assign it to another team who will work upon it. We can conclude from it that Test link is secure as only assigned person can work on it or can see the information regarding projects and at same time testlink can manage more then one project with different team. This is all about testlink introduction further we will learn in next article.